Charizard, The Flame Pokémon. When expelling a blast of superhot fire, the red flame at the tip of its tail burns more intensely. Its wings can carry this Pokémon close to an altitude of 4,600 feet. It blows out fire at very high temperatures. If it becomes furious, the flame at the tip of its tail flares up in a light blue shade. It is said that Charizard's fire burns hotter if it has experienced harsh battles. In a dark valley, a plume of smoke can be seen rising from the mouth of a large cave. Within the chambers of this cavern stands the mighty Charizard, rising from his workbench. It was finally done. He had finally crafted the perfect weapons, two powerful Mega Stones that would increase his power to unprecedented levels. In one hand lie an orange stone capable of boosting Charizard's natural talents as a special attacker to incredible heights, even allowing him to call forth the Sun itself to assist in his wrath. In the other hand lie a silver and blue stone with the power to transform Charizard into a fierce physical attacker, complete with the legendary Dragon typing that he had always dreamed of from his early days in the Kanto region. With a sharp-toothed smile, he exits his cave and flies off into the night with a new wind underneath his wings. No longer would he be cast aside by competitive players and dismissed as nothing more than a fanboy favorite. He was finally ready to shed his old shell and begin anew as the ruthless powerhouse that he was born to be. The time for redemption had come. +Charizard has two excellent Mega forms, one of which you should be using any time you use Charizard. +Charizard's movepool is pretty diverse with many boosting, coverage, and support moves. This gives both of its Mega forms a good deal of versatility in the viable sets they can run. +Base 100 Speed is a pretty good place to be at. It ensures that neither of Charizard's Mega forms will have to be slower for that initial turn like some other Mega Pokemon. +As long as you can avoid Stealth Rock, Charizard has 6 handy resistances and a Ground immunity, which will help it come in on various opponents to Mega evolve safely. +Did I mention that it has two great Mega forms? -A 4x Stealth Rock weakness is an obvious eyesore, the single greatest downside of Fire / Flying typing. You'll absolutely want to keep Stealth Rock off the field so that Charizard can come in and Mega evolve safely. -Charizard's bulk isn't all that great since it doesn't have the defense boosts of its Mega forms, so if you can't come in on a resisted (or otherwise weak) attack, you'll have a harder time getting in safely to Mega evolve. -Base 109 SpA and 84 Atk are really unimpressive, but thankfully Charizard won't have to worry about that since it'll be Mega evolving as soon as it comes in! -Okay, enough beating around the bush: normal Charizard is just mediocre overall and completely outclassed by both its Mega forms and other Fire-types in general. You should be using a Mega evolution 100% of the time when using Charizard. -WHY ARE YOU STILL USING REGULAR CHARIZARD?! Blaze: When this Pokemon's HP is below 1/3 of its maximum, the power of Fire-type attacks is increased by 50%. This is an alright ability. No real drawback, and having essentially a free Choice Specs boost on your Fire STAB moves at low health is nice. Not that Charizard has much use for this since it will have Mega evolved before attacking. Solar Power: During intense sunlight, this Pokemon's Special Attack is boosted by 50%, but its HP is decreased by 1/8 of its maximum every turn. This ability was a lot easier to abuse last generation when Drought was permanent, and even then, Solar Power Charizard wasn't very good on Sun teams. It's really powerful when you pull it off, but it takes a lot of extra support to use. Not to mention that the best Drought user is Charizard Y, who is incompatible with Charizard for obvious reasons. Well, I have to put something here, so…try this out. The bad news is that this set requires a lot of support in the form of Rapid Spin or Defog to remove Stealth Rock, Sun support from either Ninetales or manual Sun setters, hazard support to ensure you get as many KOs as possible, etc. The good news is…well, it hits really, really hard. A Choice Specs-boosted Fire Blast coming off of this thing in Sun can 2HKO Eviolite Chansey, for instance. That's a lot of power. Alternatively, Charizard can put on a Choice Scarf and keep a lot of faster opponents in check, which is something that neither of its Mega forms can do. Solar Beam and Choice Scarf put together give it sort of a specially-based Dragon Dance without the need for setup, which is handy. The moveset is pretty basic; Fire Blast has a solid combination of power and reliability, Solar Beam handles Water- and Rock-types that resist Fire-type attacks, and Focus Blast more specifically hits Tyranitar and Heatran extremely hard. Dragon Pulse nails the Dragons that resist the aforementioned moves, but Overheat is a stronger alternative to Fire Blast when you intend to just hit and run. A Modest nature is preferred for the Choice Specs set to give Charizard that extra "Omph" to break through pretty much anything that doesn't resist its attacks. If you're running a Choice Scarf, though, you'll probably want Timid to help outspeed as many opposing sweepers as possible so that you can stop them from sweeping before they wipe you out. Unfortunately, this set is hardly worth the incredible amount of support that you need to pull it off. You can get incredible amounts of raw power from other wallbreakers without the need to run a playstyle as mediocre as Sun or play extremely carefully with Rapid Spin and Defog just to bring this guy in more than once. Even Charizard Y can freely use Roost to heal itself and can maintain impressive amounts of power with the freedom to switch moves. Ah, good ol' BellyZard. This set dates back to the old days of GSC, and while the details have changed, the basic idea has remained the same. That said, this set is mostly included for nostalgia sake, and it's not a set that I'd recommend trying to use in a serious environment as it takes a ton of support that far outweighs the reward of pulling the set of successfully (which is basically Charizard in a nutshell, now that I think about it). The basic goal is this: get a Substitute up on something that you can force out and use Belly Drum to maximize Charizard's Attack and drop down to Salac Berry range (you need an HP stat divisible by 4 for this, thus the 30 HP IV). At that point, you'll have a +1 Speed boost, +6 Attack, and a Blaze-boosted Fire Punch, so you'll hopefully be fast and strong enough to sweep the remainder of the opponent's team. There are a number of different coverage moves you could run, but Earthquake is the best in terms of power, coverage, and overall reliability. Again, this is a set that requires a lot of support to pull off since you need to have Stealth Rock gone and be able to remove anything that resists the combination of Fire Punch and Earthquake (and there's a lot that can). If you can pull it off, it'll work, but just be warned that it is very inconsistent. Flare Blitz can be used over Fire Punch on the BellyZard set. However, while the difference in power is huge, the recoil will ensure that Charizard will die after one or two attacks at such low health. Thunder Punch, Dragon Claw, and Brick Break are alternatives to Earthquake as a coverage move, although each of them lacks some of the power and coverage that makes Earthquake the primary option. Air Slash is Charizard's best special Flying-type STAB, and it can be used on any kind of special set. It doesn't offer much in the way of important coverage, however. Roost will keep Charizard alive longer, which is especially handy seeing as how it's so weak to Stealth Rock. Just don't expect Charizard to be taking too many hits without a lot of defensive investment. Charizard can burn things with Will-O-Wisp, but so can a lot of other Pokemon. Defensive sets involving moves such as Will-O-Wisp are better done not only by other Fire-types, but either of Charizard's Mega forms as well. Charizardite X and Charizardite Y are great items that will make Charizard actually good. You should try them sometime! Charizard wasn't seen in serious competitive play until it's Mega Evolutions came in Gen 6. It isn't unheard of to not Mega Evolve Charizard, but that's very questionable as the mega evolutions offer so much more in terms of offensive presence. Fun Fact: Under the Sun with Solar Power, regular Charizard deals more damage then its Mega forms, but honestly, you're better off Mega Evolving Charizard, the benefits of both of its Mega Evolutions outweigh the slight decrease in damage output. Both of Charizard's Mega forms are generally well prepared for due to their respective power, and both of them have checks that handle any form of normal Charizard as well. Special sets can be stopped by Heatran and Tyranitar if they can't catch these two on the switch with Focus Blast. Many bulky Water-types can stop the sets as well provided they avoid Solar Beam. The same can be said about Dragon-types, depending on if you're running Dragon Pulse. The weaker Choice Scarf version is also stopped well by Chansey, and if you can't keep Sun up, it stops Choice Specs versions as well. BellyZard is hard to wall thanks to its high power, but Unaware Clefable or Quagsire will put a quick stop to it. A couple of other Pokemon such as Alomomola and Dragonite (with Multiscale intact) can also check it. Regardless of the set, Charizard is unlikely to get past +1 Speed, so there are a few Choice Scarf users such as Garchomp, Terrakion, and Keldeo that can outspeed it and KO with the appropriate STAB or coverage move. Above all else, Stealth Rock is the best defense against Charizard, forcing it to lose half its health every time it wants to come in. I can only imagine the disappointment that kids everywhere felt when they evolved their very first Charmeleon into a Charizard only to find out that it wasn't part Dragon. Forget Dragonite, Charizard was the real original Dragon, but it never had the opportunity to enjoy the typing. Now all that has changed thanks to the Charizardite X! With its newfound Fire / Dragon typing, awesome ability in Tough Claws, and buffed up Attack stat, Charizard X has made its mark as one of the most dangerous Mega Pokemon in the metagame. As time has passed since the dawn of XY, it has become more and more apparent why Game Freak had been holding out on the Fire + Dragon combination on non-legends for so long: Charizard X, the first Pokemon outside of Reshiram to enjoy such a typing, is insanely good. It can pull off a wide variety of sets ranging from offensive wallbreakers and sweepers to bulky defensive sets that serve as valuable additions to defensive teams. No matter what kind of team you're building, there's a chance that you might find room for Charizard X. +I've said it before and I'll say it again: Fire / Dragon is a great typing both offensive and defensively. It provides Charizard X with a nearly unresisted STAB combination, and unlike most other Dragons, it doesn't suffer a weakness to the new Fairy type. +Tough Claws is a great ability for Charizard X, boosting nearly every move Charizard X could want to use bar Earthquake. It's like a slightly stronger Life Orb with no recoil! +Twin 130 offenses give Charizard X a lot of power on both sides of the spectrum, although it's generally only going to attack from the physical side anyway. +Base 100 Speed is a pretty decent place to be. It's enough to let Charizard X outspeed nearly everything on defensive teams, and it's just right for a Dragon Dance set to succeed. +Charizard X enjoys a decent Defense boost over its normal form, which enables it to better tank hits from Pokemon such as Bisharp. +Charizard X is pretty versatile, able to run a variety of sets involving moves such as Dragon Dance, Swords Dance, Tailwind, and even bulky sets with Will-O-Wisp. -Having to start out as regular Charizard means no Dragon-typing, less physical bulk, and a huge Stealth Rock weakness. Even after Mega evolving, Charizard X still hates Stealth Rock, so you'll need to watch out for that. -Um…that's about it. Charizard X has very few flaws. I mean, there's typing weaknesses, but there's a good chance that whatever's in front of Charizard X will be dead before it gets a chance to take advantage of them. Tough Claws: The power of moves that make contact is increased by 33%. This is a great ability considering that Charizard X's best STAB moves all get the boost. Tough Claws offers a slightly bigger boost than a Life Orb would and all without the 10% recoil per hit, which is great considering the defensive utility that Charizard X adds to a team by virtue of its typing and decent bulk. Perhaps the most iconic set that Charizard X can run is the classic Dragon Dance set. While different variations of this set have risen and fallen in viability as time moves on, Dragon Dance still remains a staple on Charizard X, and for good reason. After a single Dragon Dance, Charizard X gains enough power to OHKO a huge portion of the game and 2HKO nearly everything else, and it becomes fast enough to outspeed virtually all unboosted Pokemon and even some Choice Scarf users. The combination of Dragon Claw and Flare Blitz hits pretty much everything for neutral damage besides a couple of Pokemon such as Azumarill and Heatran, and even then, Azumarill takes enormous damage from a +1 Flare Blitz. Outrage is an alternative to Dragon Claw for your Dragon STAB. It's 50% stronger than Dragon Claw is, which is pretty impressive, but you should keep in mind that Outrage's trapping effect can make Charizard X easier to revenge kill. On the plus side, it 2HKOs Unaware Quagsire, who walls Dragon Claw versions. Roost is a great move for the last slot since it helps heal off Flare Blitz recoil and can even let Charizard X tank a few hits more effectively thanks to its respectable bulk and solid defensive typing. However, Earthquake can also be used on more fast-paced teams to eliminate Heatran, who might otherwise tank Charizard X's STAB moves and hit back hard with Earth Power or poison Charizard X. The given EV spread is very basic: power and speed are maximized. A variety of bulkier spreads are also very viable as well, with some EVs taken from Speed and Attack and placed into HP. For example, a spread of 248 HP / 100 Atk / 160 Spe will let Charizard X outspeed Adamant Excadrill before a Dragon Dance, while the 248 HP EVs give it a good bit of bulk with the rest placed into Attack for more power. Many Pokemon often use "Double Dance" sets, sets that have one move that drastically boosts power and another that drastically boosts speed. This is Charizard X's version of a Double Dance set. Swords Dance is great for when you're up against slower defensive teams that will crumble under the might of a +2 Charizard X. Alternatively, Tailwind is your best weapon against faster offensive teams that may not be able to take hits from even an unboosted Charizard X. Many offensive teams rely on a number of Choice Scarf users or something like Sand Rush Excadrill to revenge kill Charizard X, but with the huge Speed boost of Tailwind, Charizard X can outrun all of them. Thankfully, Charizard X's Dragon + Fire combination already gets fantastic neutral coverage, so it can make do with just two moves. Outrage is a great choice on this set since the extra power can really help when using Tailwind instead of Swords Dance, leaving you with no power boost. It also 2HKOs Unaware Quagsire, an important defensive stop to many Charizard X sets. However, Dragon Claw is still the more reliable option; it's just a lot weaker when you aren't boosting your Attack stat. The EV spread for this set is fairly basic, with the nature being the main question. Adamant is once again good for that extra power boost, but sometimes you'll find that the extra speed of a Jolly nature can help against more balanced teams that you can break with Swords Dance but might have a Pokemon or two that outspeed an Adamant Charizard X (such as Jolly Excadrill). Everyone knows how good Fire / Dragon typing is offensively, but you never really appreciate just how good it is defensively until you've used this set. 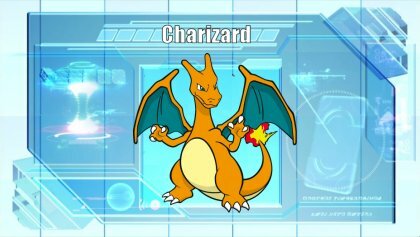 Charizard X has a handful of solid resistances to Fire, Grass, Electric, Bug, and Steel moves, and its neutrality to Water- and Fairy-type attacks gives it an advantage over other defensive Fire- and Dragon-types, respectively. With significant Special Defense investment, Charizard X can take on a number of powerful offensive Pokemon such as Thundurus and even Charizard Y! Will-O-Wisp is key here as it cripples physical attackers such as Azumarill and Landorus-T that might try to switch into Charizard X, and it also helps it take physical hits in general far better. There are a couple of moves you can use alongside Dragon Claw. Earthquake nails Heatran, who is immune to Will-O-Wisp and laughs at Dragon Claw. It also gets great neutral coverage alongside Dragon Claw outside of Skarmory, who hates being burned. Flare Blitz, however, is quite powerful even with no Attack investment, and it also synergizes well with Dragon Claw. While the recoil seems counterintuitive to a defensive set, being able to OHKO Mega Gardevoir and put a lot of pressure on Calm Mind Clefable can be important for some defensive teams. Still, if you want the Fire coverage without the recoil, Fire Punch is a much weaker but safer alternative. Finally, Roost is there because reliable recovery is awesome. Plain and simple. The Speed EVs are chosen to outspeed all Tyranitar and burn them before they hit you, and the rest of the EVs are used to maximize special bulk. Still, more speed can (and arguably should) be used to outrun faster opponents at the cost of some bulk (for example, 152 EVs lets you beat Jolly Mega Heracross and burn it before it hits you). There are lots of options for the Speed EV investment, so experiment and see which Speed benchmark best suits your team. This set is very down to earth: come in and hit things. This particular Charizard X set is unique among offensive sets since it gives up the utility of boosting moves and instead focuses on dishing out hits and tanking them when necessary. That said, the basic layout of the offensive moves is pretty similar to the non-Roost Dragon Dance set. Dragon + Fire coverage is again pretty amazing, and Earthquake hits one of the few Pokemon that can actually take that combination easily: Heatran. The old choice of Dragon Claw vs. Outrage still exists for this set. As always, Dragon Claw is the weaker but safer of the two moves, and it is preferred for this particular set since it's focused on coming in and out rather than trying to sweep all at once. However, this set is also a wallbreaker, so sometimes the extra power of Outrage really comes in handy when you have no power boost of your own. Roost once again provides important recovery and takes advantage of Charizard X's decent bulk and good defensive typing. Just like with all Charizard X sets, there are a number of different EV spreads you can try here, but the basic gist of the sets is going to be maximum power with either maximum speed or near maximum with a few Speed EVs dropped for HP. Thunder Punch demolishes Azumarill, one of only a couple of Pokemon to resist Charizard X's STAB moves. However, Azumarill is already hit very hard by a +1 Flare Blitz, so the move isn't all that important. It's easy to forget Charizard X's great base 130 Special Attack stat. Overheat is a neat one-off move to nail physically defensive switch-ins that may tank Charizard X's main attacks. Still, even some physically defensive Pokemon such as Skarmory and Landorus-T are hit a little harder by a +1 Flare Blitz. Hidden Power Grass can slam Unaware Quagsire without forcing you to trap yourself into Outrage. It has little use outside of that, though. Belly Drum Charizard X is really, really powerful; it can even OHKO max HP Heatran with Dragon Claw at +6! It also has Roost to help heal off the lost HP. Unfortunately, the huge cost of losing half your health per setup and the lack of a Speed boost makes the set very inconsistent. Defog may not seem like a terrible idea at first. After all, several other Pokemon that are 2x weak to Stealth Rock make decent Defoggers, such as Mandibuzz and Zapdos. The difference is that Charizard X starts out as regular Charizard, who is 4x weak to the move, so it absolutely must Mega evolve before trying to Defog. Besides, Charizard X has better things to do besides Defog support and needs all of its moveslots as it is, so it'd rather have a teammate support it with Defog rather than the other way around. Dragon Rush is a stronger alternative to Dragon Claw without the trapping effect of Outrage (not to mention a chance to flinch the opponent), but the awful accuracy is a real letdown. Dragon Tail is a pretty cool move on the defensive set. The lower power and negative speed priority compared to Dragon Claw are unfortunate, but the ability to phaze out dangerous opponents and rack up entry hazard damage is pretty valuable. Toxic is another useful status move that defensive Charizard X can toss around, but the Attack drop of Will-O-Wisp burns is too useful and important to give up. Charizard got two Mega's this Gen, one specially offensive glass cannon, and one Physically offensive Dragon that can take a hit or two. Is becoming Fire/Dragon the best thing for it though? Unsurprisingly, Mega Charizard X's spread is similar to it's Y counterpart, but the speed isn't so much of an issue because it can use Dragon Dance effectively. The moves here aren't surprising either, Dragon Claw and Flare Blitz taking advantage of STAB and Tough Claws. 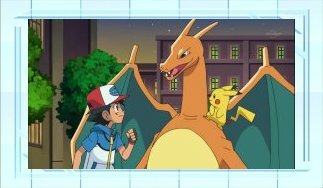 Though Dragon Dance is expected on most Charizard X, Substitute is good choice too for setting up as well, and when combined with Protect makes sure that Charizard X stays on the field longer which can be more valuable than being at +2 Attack and Speed. Unfortunately, when Mega Evolving to Mega Charizard X you lose the Ground immunity, which just means Garchomp ruins Charizard's day yet again. The ideal partners are again, Mammoswine and Gardevoir, though Scrafty isn't a bad idea either as Charizard appreciates Fake Out and Intimidate support to make setting up a little easier. When running Mega Charizard X, you have the surprise factor on your side, but at the same time, you'll know you're at a disadvantage when your opponent has a pokemon with intimidate, and unless you can get a Dragon Dance up, Garchomp will always outspeed and threaten Charizard X, and Choice Scarf Salamence is just a nightmare, even at +1 Attack and Speed. Being neutral to Fairy hurts too. 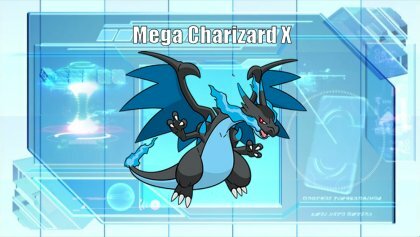 Your team will need to accommodate for these new found weaknesses if you choose to run Mega Charizard X. Due to the raw power of Charizard X and its versatility, it can be a pretty difficult Pokemon to counter. First of all, keeping Stealth Rock down is extremely important. Even after it Mega evolves, Charizard X will be under a lot of pressure if it's losing 25% of its health with every switch-in. Quagsire makes a great answer to the boosting sets since it can easily tank their hits outside of Outrage, which can be taken advantage of with a partner Fairy- or Steel-type. Some other physically bulky Ground-types such as Landorus-T, Hippowdon, and even Rhyperior can tank a hit from a +1 Charizard X and KO back with Earthquake (just watch out for Swords Dance!). Each of these Pokemon do hate Will-O-Wisp from defensive sets, however. Heatran can tank hits from any Charizard X not carrying Earthquake and either hit it with Earth Power or poison it with Toxic, making it easier to wear down from there (especially if Heatran is carrying Protect). Azumarill also resists Charizard X's STAB moves, and while it takes a surprising amount of damage from Flare Blitz, a Choice Band-boosted Play Rough or Play Rough + Aqua Jet from Assault Vest variants can pick off a weakened Charizard X. 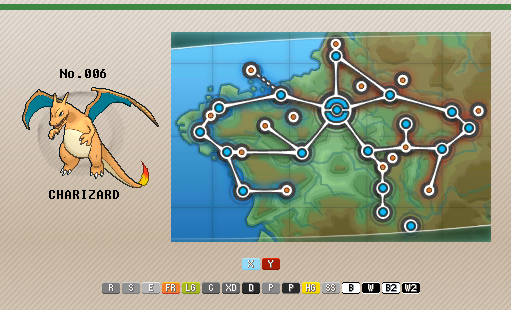 As long as it doesn't have a Speed boost, Charizard X can also be outran and checked by faster Pokemon such as Terrakion, Keldeo, Landorus, and Garchomp, and Choice Scarf versions of these Pokemon can even check the Dragon Dance sets. Teams with Drizzle Politoed or Tyranitar can also use one of a few powerful Swift Swim users or Sand Rush Excadrill, respectively, to outspeed and KO Charizard X after the appropriate weather has been set up. You know, Charizard Y would have been really incredible last generation, where it would have brought indefinite Sun just by stepping onto the field thanks to Drought. Sun teams would have immediately become far better with a new and much improved Sun setter to work with. Alas, the weather nerf hurt Charizard Y's potential to be a real cornerstone on Sun teams, but it's still a great Pokemon in its own right. While you won't be able to build BW-esque Sun teams around Charizard Y, the Mega Pokemon itself can still enjoy a 50% boost to its STAB moves, the temporary loss of its Water-type weakness, and the ability to safely use Solar Beam (which was a much more risky choice last generation thanks to the constant threat of a Drizzle Politoed switching in and wreaking havoc). One thing is certain: Charizard Y's raw power is hard to ignore. It has quickly established itself as one of the best wallbreakers in the metagame, and while it still has its fair share of checks and counters, Charizard Y is one of those Pokemon that you absolutely must keep in mind when you're teambuilding. Otherwise, you'll probably lose something every time it comes in. +With a base 159 Special Attack stat, Sun-boosted STAB Fire Blast, and powerful coverage moves, Charizard Y hits hard. Really hard. +Just like the case with normal Charizard, Charizard Y's typing can be a good asset if Stealth Rock is gone. It has 6 great resistances and an immunity to Ground moves, and Drought even removes its Water weakness! +Charizard Y's defenses are a bit more lopsided than Charizard X's, but its special bulk is still pretty good for an offensive Pokemon. +Charizard's naturally good movepool helps Charizard Y out a bit. Access to a reliable recovery move in Roost is especially helpful, especially on a Pokemon so weak to the most common entry hazard in the game. +Base 100 Speed is pretty solid, and since normal Charizard shares the same Speed stat, Charizard Y doesn't have to worry about being slower during that first turn. +Drought is such an amazing ability. Forget dedicated Sun teams, having a 50% boost to Charizard Y's already powerful Fire Blast, a reliable and powerful Grass-type coverage move in Solar Beam, and a mitigated Water weakness are all fantastic. -Stealth Rock, Stealth Rock, and Stealth Rock. Unlike Charizard X, Charizard Y doesn't get less weak to the move after Mega evolving, so be sure to have Defog or Rapid Spin support handy. -Charizard Y lacks some of the same versatility and sweeping ability that Charizard X has. Outside of the occasional defensive set, Charizard Y's main forte is its wallbreaking set. -Unfortunately, Charizard Y suffers from the same Chansey and Blissey problems that many other special attackers do, unless you're willing to go kamikaze with Flare Blitz. Drought: Weather changes to intense Sunlight when this Pokemon enters the battle. As of XY, this effect lasts for 5 turns. This ability has always been awesome, and even with the nerf, it's very powerful. As mentioned before, it makes Charizard Y's Fire Blast an absolute nuke, it makes Solar Beam a much more reliable and appreciated coverage move, and it lets Charizard Y tank weaker Water-type attacks much more easily. When you've got loads of raw power like Charizard Y does, what do you do? You hit stuff really hard, that's what. Charizard Y's Sun and STAB-boosted Fire Blast has an incredible damage output, especially when it's wielding a base 159 Special Attack stat. While using Solar Beam last generation might have been risky given the threat of the omnipresent Drizzle Politoed switching in and shutting you down, it's a much safer move to use nowadays thanks to the lower popularity of other weather types. That said, it serves as a great weapon for a host of Rock- and Water-types that might tank Fire Blasts with ease. Focus Blast rounds out the set's coverage quite nicely, slamming any Tyranitar or Heatran who might foolishly think that they can waltz right in and shut Charizard Y down. Roost is a very important move on a Pokemon like Charizard Y due to its unfortunate weakness to Stealth Rock. Not to mention that with its solid special bulk and solid resistances, Charizard Y can actually tank hits from a handful of offensive Pokemon such as Landorus and Heatran, and Roost helps it to do that more effectively. If you really want to hit as hard as possible, you can give Charizard Y a Modest nature and watch things crumble. However, in case you want to beat positive Speed nature Pokemon such as Landorus-T and Kyurem-B and want to speed tie at worst against opponents with base 100 Speed, you can run a Timid nature instead. The wingspan of a GOD! It may seem strange at first to use a defensive Pokemon that loses half its health if it so much as touches Stealth Rock, but as long as you can keep Stealth Rock off the field, Fire / Flying typing has some neat perks: six resistances, a Ground immunity, immunity to burns, and immunity to every other entry hazard. Drought even alleviates the threat of Sand damage and removes Charizard Y's Water weakness! The goal of this set is pretty simple: you use Charizard Y's solid special bulk and typing to wall things like Landorus, you burn things with Will-O-Wisp, you keep Charizard Y healthy with Roost, and you toss out Flamethrowers when the time is right. Fire Blast is also an option for the extra power, but the extra PP and perfect accuracy of Flamethrower can really matter sometimes. There are a couple of coverage moves that can come in handy. Solar Beam is always nice for the general coverage against Rock- and Water-types, but Earthquake slams Heatran, who otherwise walls this set and absorbs Charizard Y's Fire-type attacks. Focus Blast also hits Heatran fairly hard while destroying Tyranitar, but you can sometimes make do with just burning Tyranitar on the switch and sending something else in to beat it. The given EV spread is the same as the one for the defensive Charizard X set, and like the other set's spread, this one can be changed to give Charizard Y even more speed. You can also run some Defense EVs to better handle Pokemon such as Bisharp, whose weakened Knock Off will do less damage to Charizard than it would to other Pokemon and who will be easily walled after a burn (or just OHKOed by Flamethrower). Tailwind is probably Charizard Y's best chance at sweeping, but you'll have to give up important coverage or Roost to make room for it, both of which are very important to Charizard Y's wallbreaking duties. Dragon Pulse hits Dragon-types such as Latios, Latias, and Dragonite, each of which can easily handle Charizard Y's main coverage moves. It doesn't hit much else, though. Alongside a lot of Attack EV investment, Flare Blitz can be used to defeat Chansey and Blissey. However, the large amount of recoil suffered will probably cause you to lose Charizard Y in the process. On the note of physical attacks, a Dragon Dance set is feasible on Charizard Y. Outside of surprise value, though, such a set is completely outclassed by Charizard X. Air Slash is Charizard Y's best Flying-type STAB move, but it's hardly worth using. It offers little in the way of necessary coverage, and even after STAB, its power falls short of that of Solar Beam and Focus Blast. If you plan on just hitting and running instead of staying in for several turns at a time, Overheat can be used as a more powerful Fire-type STAB move. Otherwise, stick with the more consistent Fire Blast. Inferno could be amazing if it were more reliable. 100 BP STAB move with a 100% chance to burn? Sign me up! Too bad the accuracy puts you into a literal coinflip every time you use it. Ancient Power hits a few Pokemon such as Talonflame and opposing Charizard Y pretty hard. In fact, Charizard Y actually tanks its own hits pretty decently, so Ancient Power will allow your own Charizard Y to check other Charizard Y. Focus Punch is another method of getting past Chansey and Blissey that won't kill Charizard Y in the process. It takes a lot of careful play and/or the help of Substitute to really pull it off effectively, though. Either Dragon Tail or Roar can be used on the defensive set to stop opposing setup sweepers, phaze out opponents that may threaten Charizard Y, and rack up extra entry hazard damage. Toxic is another option on the defensive set, but the Attack drop from burns is important for letting Charizard Y tank as large a range of attacks as possible. On the bright side, it gives you a method of beating opposing Charizard Y, who you can wall quite nicely. Currently one of the "Big Three" in VGC (the other two being Mega Mawile and Mega Kangaskhan), it is the most fragile of the three and it really doesn't help that it's x4 weak to Rock Slide, but it's a very solid Sun setter, and Sun Boosted Heat Waves hitting both opponents for ridiculous amounts of damage, some resists are even 3KOed by it and still have to worry about Charizard's partner still attacking afterwards. It's very easy to underestimate Charizard Y thinking "one Rock Slide will do the trick" but it's best to remember that Mega Charizard Y has a higher base Special Attack than Mewtwo. If left unchecked, your team will be left in a pile of ashes before it's all said and done. The reason to use Blaze over Solar Power is because some pokemon with Trace can come in and take advantage of Solar Power as you Mega Evolve, which will put you in a bad spot. The attacks on Mega Charizard Y are pretty much the same across the board, Heat Wave is self explanatory, not perfect accuracy but 10% burn rate more or less makes up for that. Solarbeam goes perfectly with Drought, it also gives Charizard a way to fight off the other weather setters when the Sun is up. The third slot is usually Overheat, which under the sun is an absolutely brutal single targeting 90% accurate nuclear bomb. It is heart breaking when it misses though. On occasion you will encounter Charizard running Substitute, when you see that, it's already missing one of its crucial moves, when you figure out what move it ISN'T running, it should be easier to handle. Ancient Power is for hitting fire types who think they are a safe switch in on Charizard, like other Charizard or Rotom-H, and when that 10% stat boost does happen, you're suddenly looking at a dominating win condition. Dragon Pulse is for hitting Dragons, mainly Salamence and opposing Mega Charizard X, though both are dangerous to stay in on. Air Slash takes advantage of Charizard's Flying type, and has a nice flinch rate, but generally is unseen. The EV spreads differ so much because of Charizard's base 100 speed, which unfortunately speed ties with Mega Kangaskhan and other base 100's. Because of that, going 252 in Speed and Special Attack isn't a bad idea, but it isn't very good either. The second EV Spread does away with speed ties and just outspeeds Smeargle, this more or less allows a guilt free way to go Modest instead of Timid. Knowing what will or won't outspeed you is crucial in playing such a fragile Pokemon in Mega Charizard Y. Good partners for this Charizard would be Pokemon who don't mind the sun, but can check Garchomp and Salamence, Charizard's bane. Mammoswine and Gardevoir do excellent jobs of both, Charizard even covers the steel types they are both weak to. First things first, Stealth Rock is your best friend. A Charizard Y that has to switch into Stealth Rock multiple times will soon be a dead Charizard Y. As is the case with many special attackers, Chansey and Blissey are great stops to just about any common Charizard Y set thanks to their insane special bulk. Provided Charizard Y isn't carrying Dragon Pulse, Dragon-types such as Latios, Latias, Dragonite, and Assault Vest Goodra are pretty nice defensive answers to Charizard Y. Specially defensive Hippowdon is also a solid answer, provide Charizard already Mega evolved earlier in the match. Otherwise, it'll activate Drought after Hippowdon switched in and fry it with either Fire Blast or Solar Beam. 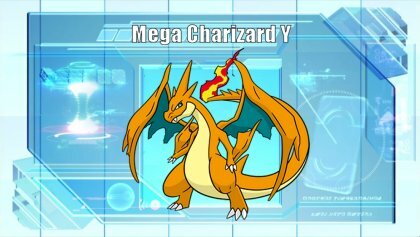 Humorously enough, some of Charizard Y's best counters are…other Mega Charizards. Defensive Charizard X takes on Charizard Y quite nicely, and while defensive Charizard Y can't do much back outside of Ancient Power or Toxic, it also walls opposing Charizard Y pretty well. If you happen to have a Rain-based team, defensive Politoed does pretty well against Charizard Y, although Focus Blast can hurt if you don't have a lot of Special Defense EV investment. Offensive checks include a number of Pokemon that can outspeed Charizard Y and hit back hard, including but not limited to Garchomp, Terrakion, Choice Scarf Tyranitar, Thundurus, and even Greninja and Keldeo once Drought's effect has ended. Charizard has made a fair few appearances in the anime. Most notably, it is used by Ash throughout his journeys in the Kanto, Johto and Unova regions. Mega Evolution trainer Alain also uses one.